When I first discovered pumpkin dip, it changed my life. Of course when I had it for the first time, the pumpkin came from a can, which I did not approve of. Though the dip was tasty, I knew it would be so much better if I used freshly cooked pumpkin. Also, when I had this dip in the past, it was prepared with cool whip. Since I am also not a fan of cool whip, I use the real stuff. 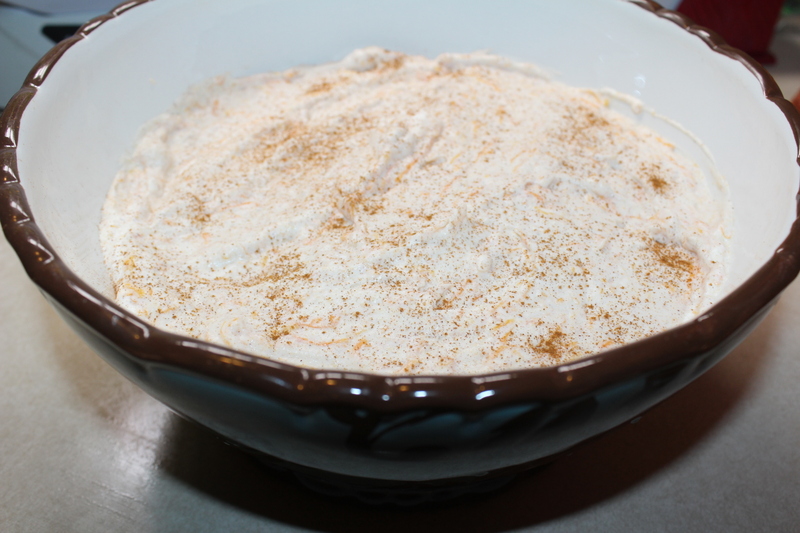 Therefore, this recipe is simply a pumpkin whipped cream. 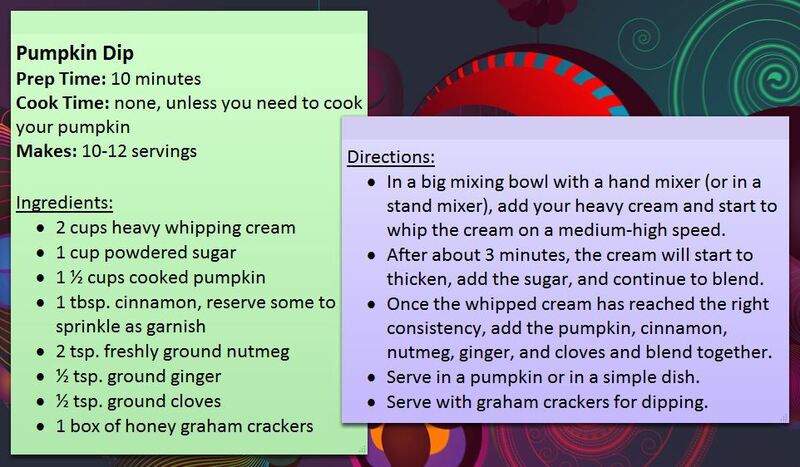 Like all of my other pumpkin recipes, I follow the Pumpkin Basics to cook the fairytale pumpkin (my favorite). The color of the pumpkin meat is a bright orange and the flavor is so delectable. This recipe is so easy, that it only took about 10 minutes to prepare it for a party (that is, if your pumpkin meat is already cooked). 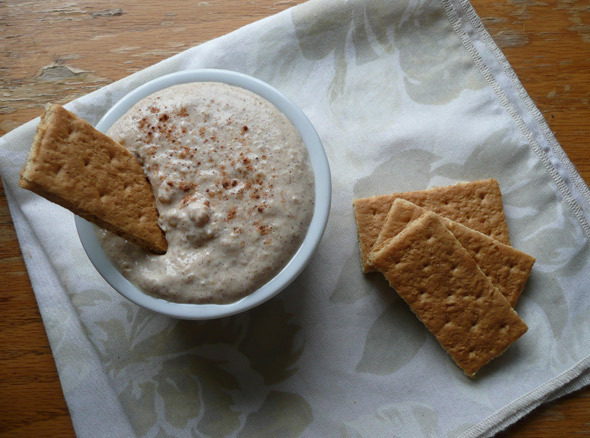 Once you whip this pumpkin dip up, serve it with graham crackers. It is definitely a crowd pleaser. Happy pumpkin eating! Ginger snaps are great to dip too 🙂 I made a similar recipe last year. I’ll have to give yours a shot.